Avara Foods has expanded production at its Telford chicken processing site with an additional 150 jobs created in the past few months and seven new apprentices taken on. Since reopening the Telford plant in 2015, following a £36m expansion and refit, investment in technology, automation and infrastructure has continued. 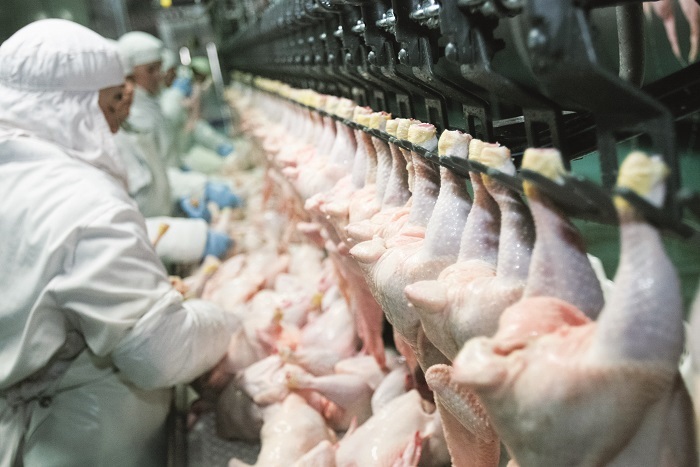 During August, Telford hit a new high of 1.5 million chickens processed per week. Alongside investment in technology, investment in people has been at the heart of Avara’s recent growth and success. Between March and August 2018, Avara took on an additional 150 people to help meet rising demand for chicken and increased pay by 4.4% for over 850 of the Telford team. With the available labour pool reducing further, due in part to Telford’s low overall unemployment, competition for new recruits is tougher than ever. In September seven new apprentices joined the team, including the first degree apprentices, studying food science and food engineering with Harper Adams. Successfully completing the five year programme will give each apprentice a permanent job, a degree and valuable hands-on experience, all without the mounting debts that most university students face.